My interest in visiting the southernmost tip of Samar Island came about when I first saw an article saying that it is home to a great surfing spot as it faces the Pacific. I became more eager to set foot in this town when I have learned that it is the hardest hit during the Yolanda catastrophe. I wanted to know how the people are and how much damage was caused. 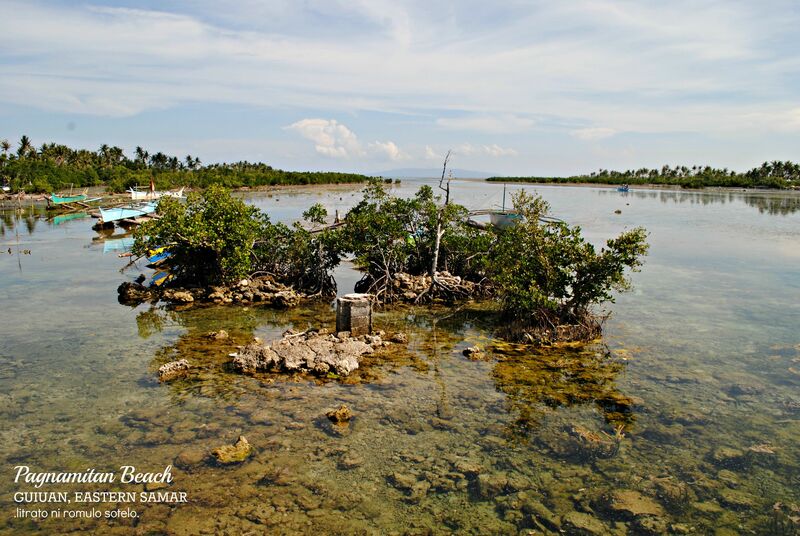 Located at the eastern most side of the Philippines, Guiuan is a town frequented by (strong) typhoons. 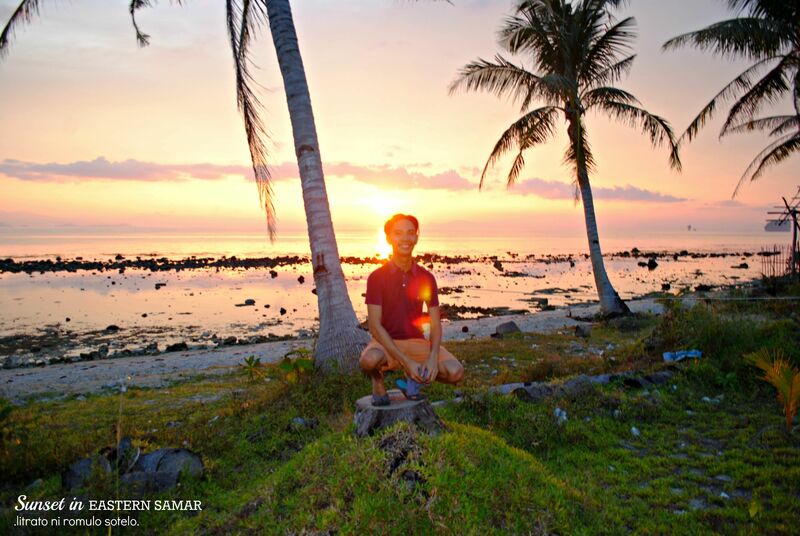 It is part of Eastern Samar, one of the 3 provinces that comprise the entire Samar Island. So the next time I was in Tacloban, I made my way to this seemingly quiet seaside town. Going to this town was not as difficult as I thought since it only took me a van ride away (around 4 hours of travel time). Upon reaching the town, Imy friend and I quickly grabbed something to eat before haggling with a tricycle driver who will take us to 2 of Guiuan’s most visited places. 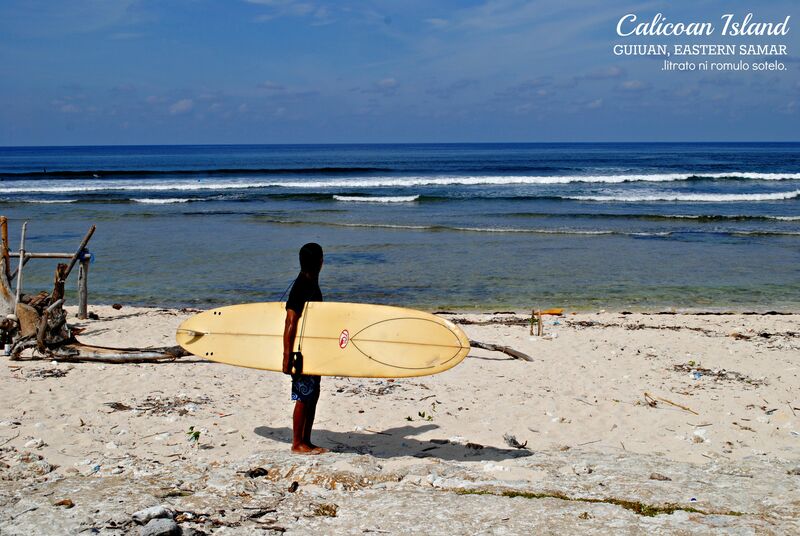 Our first stop is the famed Calicoan Island, established to be Visayas’ surfing hub. 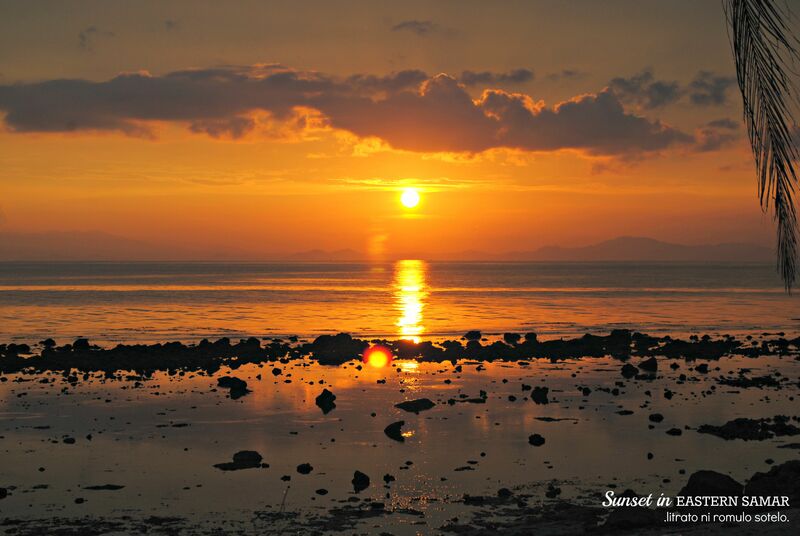 One will pass by some very scenic views despite the obvious remnants of typhoon Yolanda. 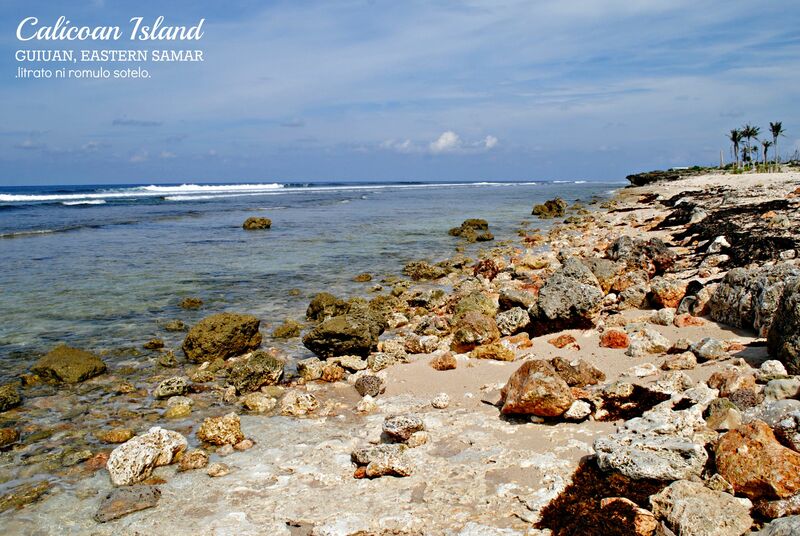 Upon reaching the main surf area, I was amazed to see various shades of blue – azure sky, cerulean waters with beginner’s waves, and some rock formations along the shore. There were several locals surfing. The view of the Pacific was just lovely. 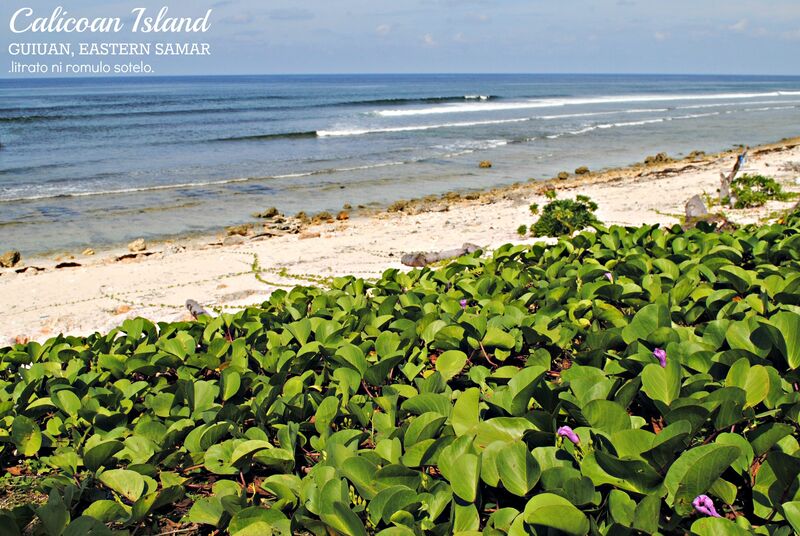 This popular surf spot in Calicoan Island is said to feature what they call the “Jurassic Waves”. (I am not aware though why they called it such). It was a short visit to Guiuan. Nonetheless, it was great seeing those 2 places. I love how not touristy the place is. Moreover, I am happy that the people and the town itself has improved since Yolanda. I would love to visit the place again in the future and see more of its beauty. 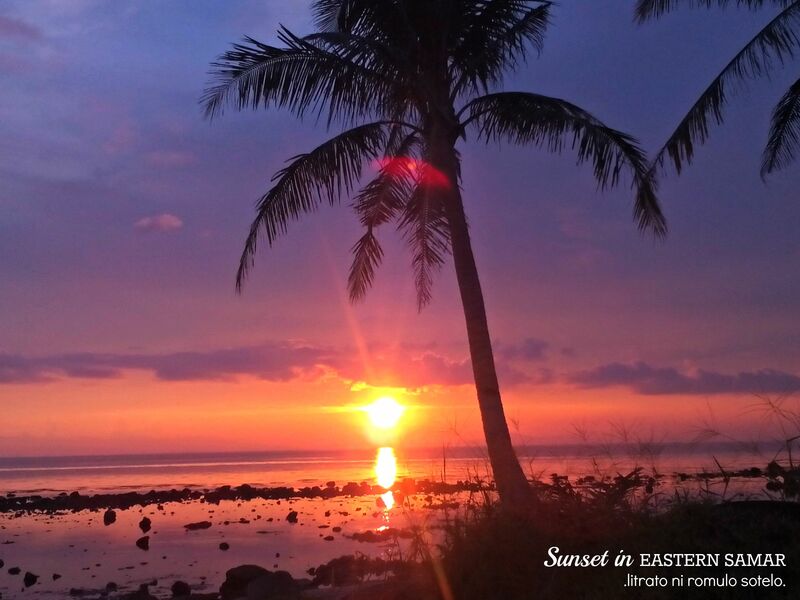 And oh, did I mention that the sunset is just magical at this side of the Philippines. Well yes, truly magical. From Manila, ride a planeto Tacloban City (nearest) or Cebu City. From Tacloban City, you can ride a van going to Guiuan. There are two well-known companies that ply to various places in Leyte and Samar — Duptours and Van Vans. The usual fare is Php150-180. 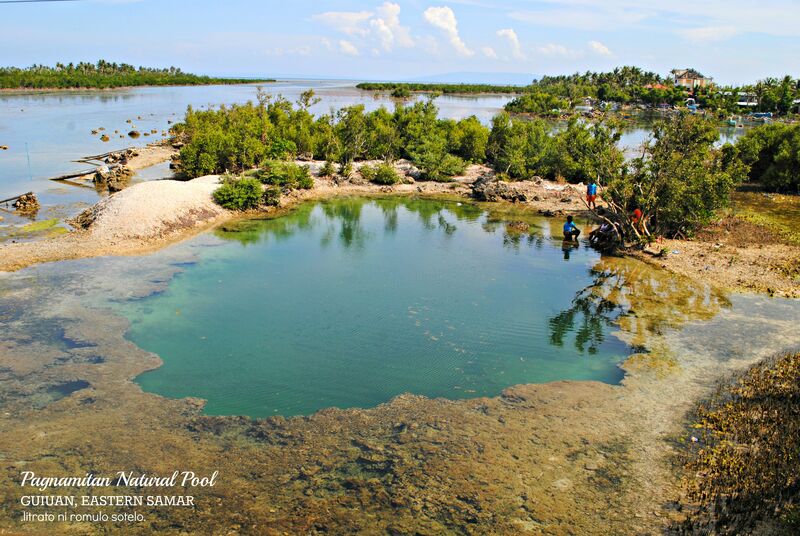 It will take you 3-4 hours to reach the town of Guiuan. One may also opt to take the bus (Silver Star or Eagle Star) in the bus station near Farmers, Cubao. The fare is usually 2000-3000php one way. This will take you on a very long, 24hours (more or less) ride to reach Guiuan. From Cebu, one can take the Supercat to reach Ormoc City in Leyte, then ride a bus bound for Tacloban; and finally, a van or bus from Tacloban to Guiuan. Once in Guiuan, rent a tricycle for a fixed price (you have to negotiate with the driver. Prices depend as to how many places you want to see and visit). If you are in for a surfing action, visit the local surf club “headquarters” located at the Calicoan Villa.